While out swimming, WILYKIT is apparently devoured by a huge, green, amphibious monster. The monster is a robot, HERKY, belonging to DOCTOR DOMETONE, latest in a long line of guardians of the Great Oceanic Plug. The Plug prevents the seas from pouring into Third Earth’s molten core, extinguishing the fires, heralding an Ice Age and destroying all life. 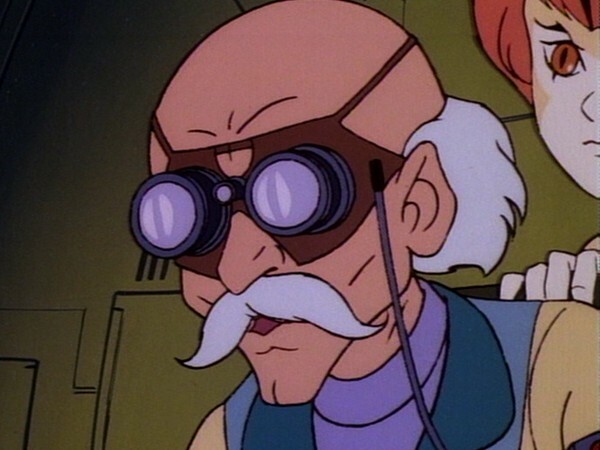 Far from threatening WILYKIT, DOCTOR DOMETONE has traveled to the Cats’ Lair to ask the THUNDERCATS for help: SCRAPE, a salvage expert from Blue Plunder, is trying to pull the plug in order to drain the ocean and retrieve rocks from the ocean floor. The rocks are needed to fuel his planet. It seems that DOCTOR DOMETONE’s mission may be too late, for SCRAPE’s giant ELECTRIC EEL has already broken into the PLUG’s protective dome, and scared DOCTOR DOMETONE’s staff off, before he, LION-O and the THUNDERKITTENS arrive in HERKY. HERKY overcomes the ELECTRIC EEL, but SCRAPE escapes with WILYKAT, locking himself into the PLUG’s dome and proceeding with his plan to drain the ocean. 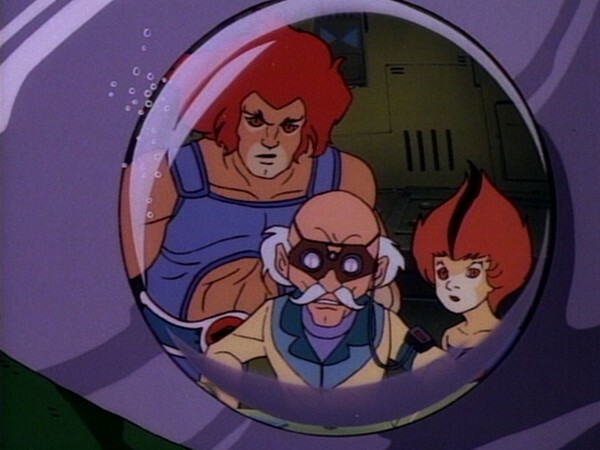 LION-O summons the THUNDERCATS and PANTHRO seals off the dome with a compressed air bubble. SCRAPE is sucked out of the dome and escorted to the Grey Prison Planet by OFFICER MANDORA. WILYKAT is rescued and a communications line is set up between the Plug and the Lair to ensure the safety of Third Earth. 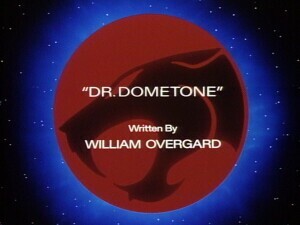 Dr. Dometone teaches the ThunderCats that we live in balance with the forces of nature. Sometimes the balance of nature is precarious and fragile, and it requires our intervention to maintain its equilibrium. The interventions, however, must be taken with great care, for any interference into the ecological system has the potential to set off a chain of consequences. When we encounter something new or unfamiliar or decide to take some action without full knowledge of what we are dealing with, we risk making a mistake and doing harm rather than good. WilyKat’s impulse to blast Herky before understanding what he was illustrates the point. And the lesson is especially important for society in dealing with the environmental system, whose components, whether physical, chemical, or biological, interact with a complexity that must be understood and respected. It is an important lesson as well for individuals, for our interaction with the environment must also be based on respect and care, lest we contribute to upsetting the balance of nature by impulsive actions. 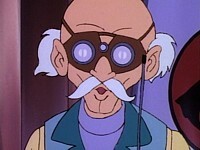 Although not without his redeeming moments, this episode’s author, William Overgard, is generally regarded as the weakest regular contributor to the ThunderCats animated series. Indeed, it would be fair to say that his rather bizarre and somewhat comedic contributions to the show’s later seasons would serve to sharply change the emphasis of the series from a serious sci-fi/fantasy storytelling vehicle to something of an in-joke, with the series almost becoming a parody of itself. However, in William Overgard’s defense, it is worth stating that the majority of his Season One episodes are relatively sober in tone, taking the source material seriously, and as such make for credible contributions to the series, albeit generally from the weaker end in terms of quality. Such is the case with “Dr. 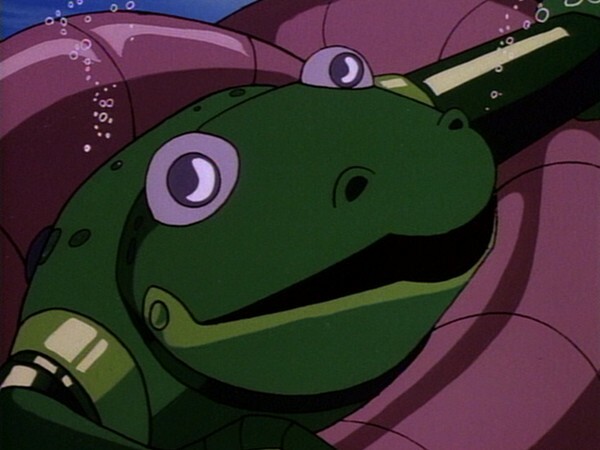 Dometone”, an intriguing episode that provides an entertaining change of scenery as the ThunderCats are forced to spend almost the entire episode underwater. 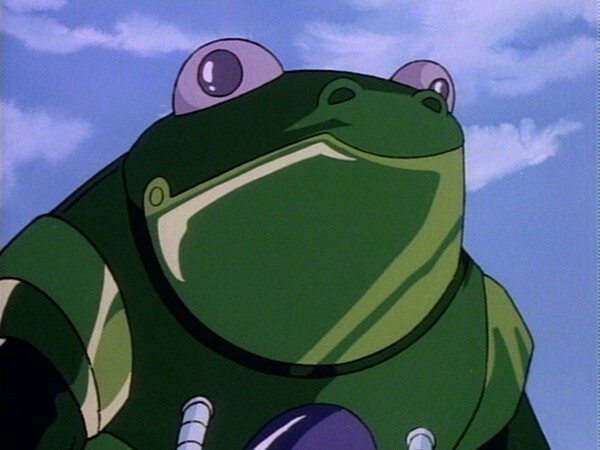 For all of this episode’s serious tone, it is quite identifiable as a William Overgard episode, simply from of its outlandishness: two giant robotic frogs battling a gigantic electric eel, defending a giant technological plug constructed to prevent Third Earth’s oceans from draining away! 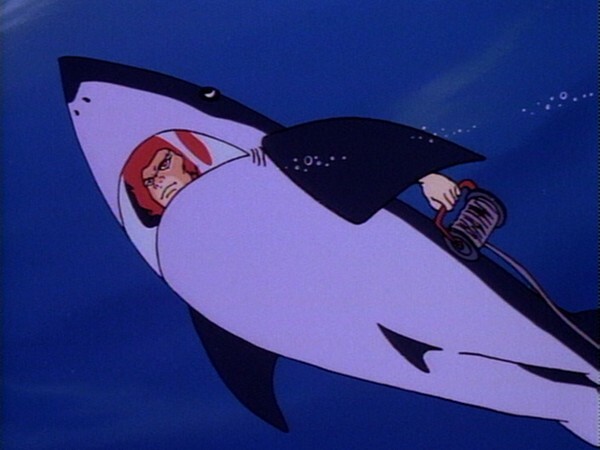 Perhaps the most, shall we say, “unique” aspect of this episode is Lion-O and WilyKat swimming through the sea dressed as giant sharks! 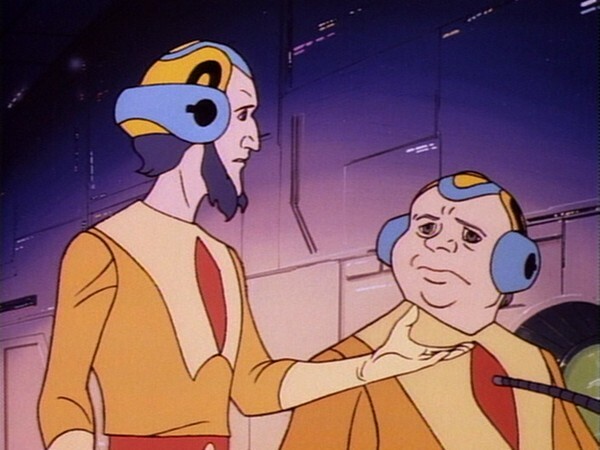 However, despite this mildly comical imagery, the tone of the episode itself is quite serious, with Dr. Dometone seeking out the ThunderCats for aid, lest the whole planet be destroyed by the ruthless salvage engineer known as Scrape. The character of Scrape himself is somewhat one-dimensional. Whilst it would have been interesting to have shown him as a character without evil who is merely performing the task assigned to him by his superiors, instead he is shown to be a straightforward, cold-hearted and ruthless villain who seems to almost delight in the knowledge that his actions will almost inevitably lead to the destruction of another planet. Set against this, the character of Dr. Dometone is also somewhat one-dimensional, basically taking the standard concept of a brilliant but slightly absent-minded and bumbling professor character and elaborating on that. In reality, the true guest stars of this episode are the giant robotic creations, namely the two giant frogs (in particular Hercules, a.k.a. 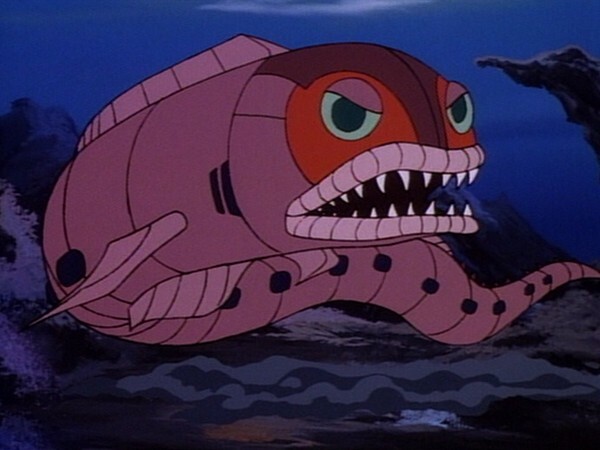 “Herky”) and Scrape’s giant electric eel, with the battles between these gigantic machines proving to be the dramatic highlights of the episode. One of the most interesting aspects of this episode is the revelation that there are human characters residing within and maintaining the giant plug. Though given only a small amount of screentime within this episode, the presence of humans living within the oceans of Third Earth, in addition to the obvious parallels to the mythical Atlanteans, lends credence to the oft-stated origin given to Third Earth: that it is a post-apocalyptic version of our Earth. It’s highly likely that, in such circumstances, a resourceful sector of the human race would develop technology that would enable humanity to survive in an underwater environment for an indeterminate length of time, and this is displayed with the crew of the Oceanic Plug. 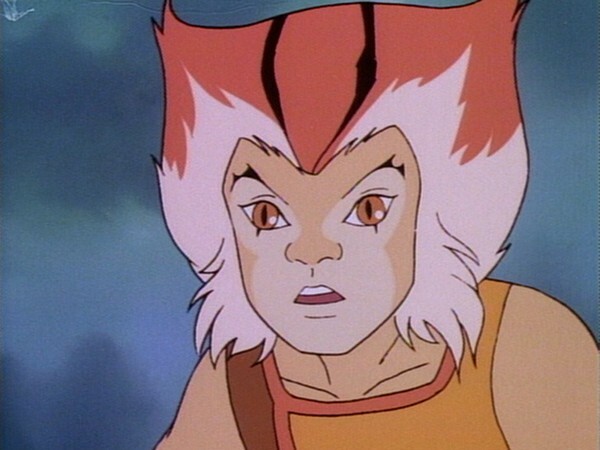 To see characters in ThunderCats who are truly, fully human is actually a rare thing indeed, so it is refreshing to see such characters in this episode. In short, this episode is perhaps most memorable for its story premise and visuals rather than its actual execution, yet remains an entertaining addition to the ThunderCats canon. Although in truth this episode is far from a breathtaking masterpiece, it is nonetheless one of William Overgard’s more entertaining offerings, and, unlike many of his later episodes, is one that is memorable for all the right reasons! When WilyKit and WilyKat are swimming at the start of this episode, WilyKat is shown in a rare costume variation—basically a scaled-down version of his regular costume most notable for the absence of sleeves and boots. Strangely, WilyKit is shown in her regular costume, even down to the armband on her right arm, minus only her boots. An interesting animation anomaly shows WilyKat changing from his swimming costume into his regular garb midway through fleeing from the robot Hercules! 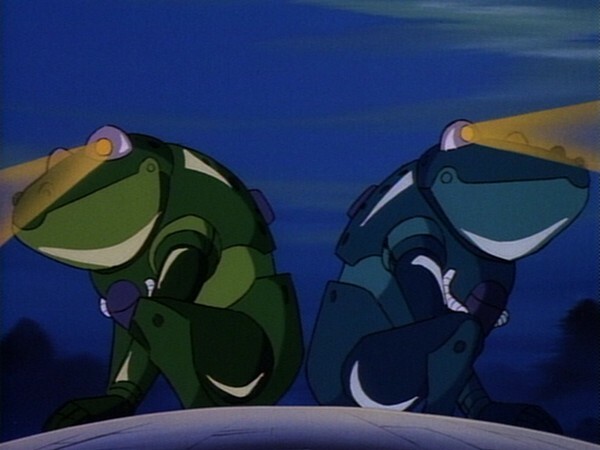 The two giant robotic frogs, Hercules and Samson, are both named after impressive figures. Hercules is the Roman name for the mythical Greek hero Heracles, son of Zeus, whilst Samson is the third to last of the Judges of the ancient Children of Israel mentioned in the Hebrew Bible, the Tanakh. 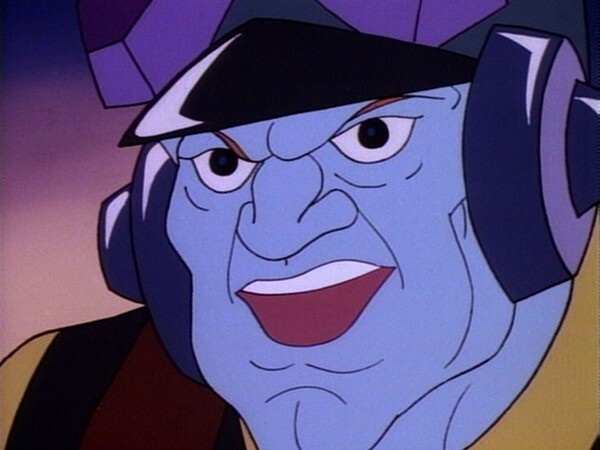 The villain of this episode, Scrape, originates from a planet known as Blue Plunder. 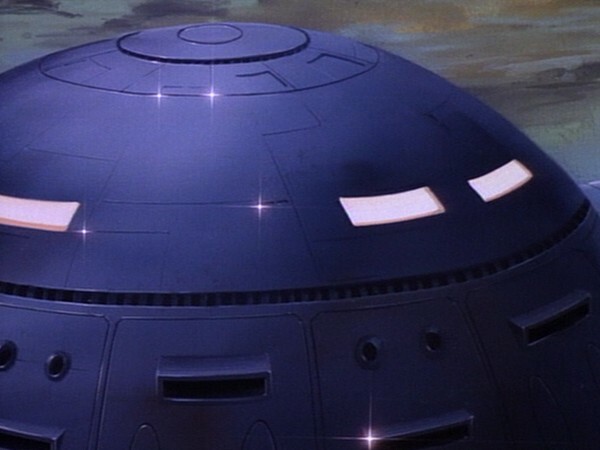 It’s unclear whether this planet bears any connection to the Mutants’ homeworld of Plun-Darr, or the moons surrounding it, but in reality the similarity is likely to be a coincidence. 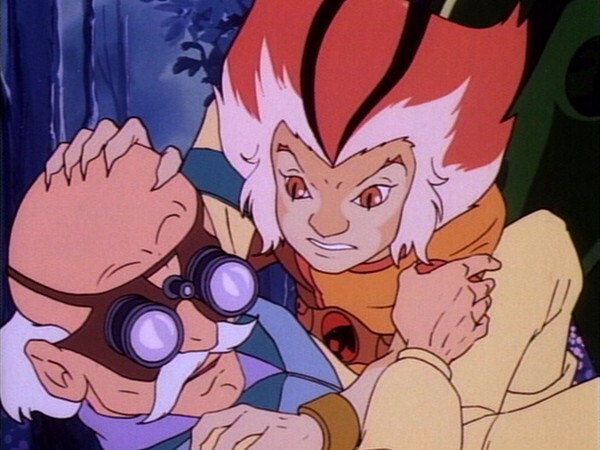 Prior to this episode, the character of Mandora the Evil Chaser had appeared in two episodes of ThunderCats, both penned by William Overgard. Although Mandora doesn’t appear in this episode, she is referenced at its conclusion!